As Executive Director of Farm Commons, Ms. Armstrong built the organization from an idea to a nationwide leader in farm law education. 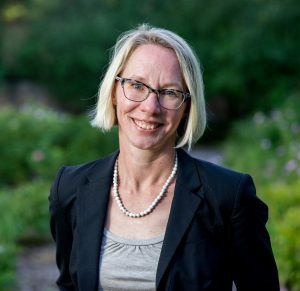 At the organization’s helm, she has lead dozens of webinars and workshops for thousands of farmers and created the organization’s innovative approach to farm law risk reduction. She has authored dozens of publications on farm law matters for farmers, alongside several academic and trade publications. Ms. Armstrong instructs continuing legal education classes for the American Bar Association and the University of Massachusetts Amherst. A graduate of the University of Denver Sturm College of Law and the University of Wisconsin Madison, she lives in Northern Minnesota with her husband, mother, 3-year-old son, and twin toddlers. Richard Preston is a first generation farmer located in Glendale, KY. He raises 2250 acres of corn, non-GMO corn, white corn, soybeans, non-GMO soybeans, wheat, barley, and milo. He uses no-till on 80% of his acres and either strip till or light vertical tillage on his remaining acres. He has 650 acres in cover crops this year and hopes to expand his cover crop acreage in future years. Before switching exclusively to grain, he operated a combined row crop, farrow-to-finish hog operation. Richard has served as the past president of University of Kentucky Precision AG Working Group. Currently, he is helping direct a joint project between the KyCorn Growers Association and Kentucky Soybean Association to measure edge of field water quality. 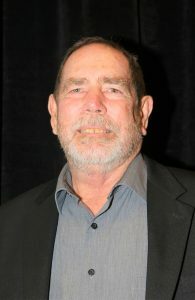 He is board member on the Southern Cover Crops Council. He continues to work closely with local ag retailers and the Extension service setting up and analyzing on-farm research. Richard graduated from the University of Kentucky with a BS in Chemistry. He received his PhD from Yale University in Physical Chemistry and completed one year of post-doctoral studies in Chemical Physics at University of California, Berkeley. Before farming, he worked as a physicist in the energy program at Livermore, CA and Los Alamos National Lab. While at Los Alamos, he held the prestigious Oppenheimer Fellowship. He co-authored 23 articles in chemical physics’ Journals during his brief eight year career in science. 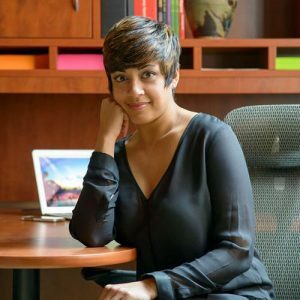 Ms. Chakravorty-Campbell is an experienced partner to business leaders looking to affect meaningful change in the Four R’s of Business Operations™: Revenue, Relationships, Risk Exposure, and Reputation. Originally from Louisville, Kentucky, she has been in New England since 1997 when she relocated to Boston to attend Boston University (B.A. Economics, ‘01). Pubali was selected as one of five Remarkable Women in Healthcare in 2010 by New Hampshire Magazine, and was in the New Hampshire Union Leader 40 Under 40 Class of 2012. She is a graduate of Leadership Greater Manchester (’11) and Leadership New Hampshire (’12). Pubali serves on the board of the Center for Ethics and Business Governance at St. Anselm College, is a trained Co-Active™ Executive Coach, and certified DiSC® facilitator.